Are you looking for a change? Do you need to find a good hairdresser in Oxford? If you care also about hair style, you should get to know the best hair salons in Oxford in addition to some tips to know when choosing a hair studio. Hair style taste is very personal and sometimes it is hard to find the right style that better fits our face features. 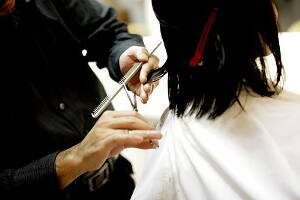 This is why is important choose the right hair stylist to trust him our hair and a good hair salon in Oxford. The website: Nowadays, most of the hairdressers in Oxford have website and social media where they share pictures of their work and the best haircuts they’ve done. Visit their sites and check it out so you can get a first impression. Think of others beauty treatments you would like to get and ask if they offer it too. Plenty of hair salons in Oxford also practice other beauty therapy treatments like pedicure and manicure. Infoisinfo has prepared an interesting list for you to find the best hairdressers near you in Oxford. As we said, it is important to have references. That is why you will also find valorations and comments from others in our website. If you find it useful, you can share your experince and help others. Two salons in Oxford , one im Summertown and one in North Oxford . Oxford's only Sassoon professional partner salons. Hair salon. Great and helpfull staff. Unpretentious friendly enviroment. open six days a week with late nights. MOBILE HAIRDRESSER offering all aspects of hairdresing in the comfort of your home. Our company is in Oxford East. Haircuts Haircolor for Ladies and Gents. We are the best in the business. Student discounts available, mens cuts from £9 women from £17. Prof. Stylist. Trade and associations are the main activities of this business. Mobile hairdressing - http://amysmobilehair.webs.com Trade Bodies / Associations. Fully qualified, cuts, from colours, professional service, perms and wedding hair!. Enjoy having your hair done in the comfort of your own home.